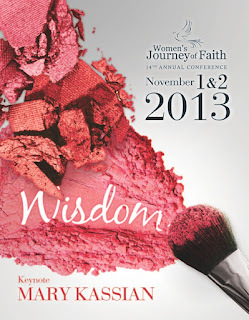 WJOF: Tuning In...Crying Out...& Searching for Wisdom! Tuning In...Crying Out...& Searching for Wisdom! When reading Proverbs, I envision myself as a princess in God’s kingdom courts receiving divine wisdom from His heart to mine. Proverbs is a unique treasury of God-breathed principles and a wellspring of wisdom for my soul to soak up like the sun. As a wife, mother and woman in ministry I desperately need God’s wisdom! Proverbs 2:1-6 (NLT) reads: My child, listen to what I say, and treasure my commands. Tune your ears to wisdom, and concentrate on understanding. Cry out for insight, and ask for understanding. Search for them as you would for silver; seek them like hidden treasures. Then you will understand what it means to fear the Lord, and you will gain knowledge of God. For the Lord grants wisdom! To read more of this entry, visit Joanna Weaver's blog: "Becoming His: Thru the Word" for February 4th 2013 as Women's Journey of Faith President & Founder Jodi Kozan contributes as a guest blogger this week!